Articles of interest to graduate students. 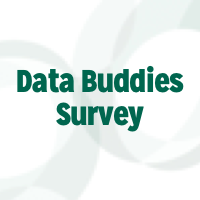 Data Buddies 2018 came to a close at the end of February 2019 concluding the sixth year of data collection. 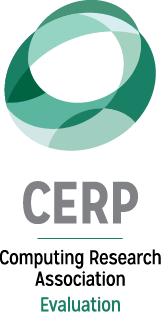 Since its launch in 2013, the survey has collected approximately 60,000 total responses and 25,000 of these respondents agreed to join CERP’s longitudinal cohorts. 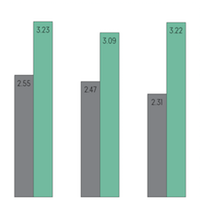 Does Having a Terminal Master’s Degree Prior to a Ph.D. Boost Publication Rate? Among doctoral students, those with a terminal master’s degree are twice as likely to have first author journal publications than those without a terminal master’s degree. They are also approximately 1.5 times more likely to have first author refereed conference papers, and co-authored journal publications and conference papers. Undergraduate and graduate students in computing fields were asked to rate how much importance they place on a list of 15 career values. Helping others was rated the highest by both groups of students. 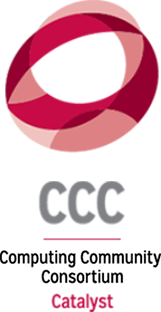 In 2018, CRA launched the Grad Cohort for Underrepresented Minorities + Persons with Disabilities (Grad Cohort URMD) workshop. 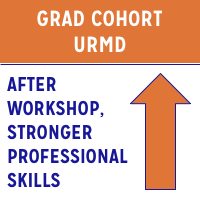 CERP found that compared to before the workshop, participants reported stronger knowledge about a number of professional skills after attending Grad Cohort URMD. Applications for the 2019 workshop will open October 2018. 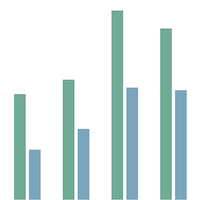 Enrollments in master’s CS degree programs continue to rise. Compared to master’s students in traditional degree programs, online master’s students report lower levels of mentorship support. Departments should consider ways to increase accessibility and visibility of mentorship resources to online students. Examples discussed in main text. 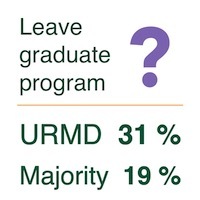 Compared to White and Asian students, who are considered the racial and ethnic majority in computing fields, students who are members of underrepresented racial and ethnic groups and students with disabilities (URMD) were 1.5 times more likely to report having seriously considered leaving their graduate program. Are Ph.D. Students Losing Interest in Faculty Positions at Research Universities? 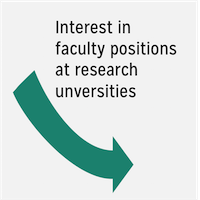 Ph.D. students’ interest in a faculty position at a research university declined over time. This may be cause for concern for the academic community given that almost half all Ph.D. granting institutions with open searches for the 2017-2018 academic year were not able to fill all of the positions advertised. 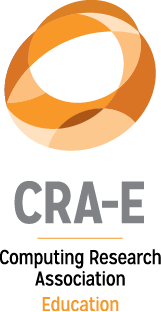 The CRA Education Committee is now accepting applications for the CRA-E Graduate Fellows Program. The program provides opportunities for Ph.D. candidates in computing fields to contribute to CRA-E projects, network with computer science education advocates on the committee, engage in advocacy for mentoring undergraduate students and promote undergraduate research and education at the national level. Which Students are Attending Technical Conferences in Computing? CERP data indicate first year and second year students were proportionally less likely to attend a technical conference in computing over the past year compared to upper division students. This finding is important because participation in conferences may help foster engagement and retention in computing, particularly among first and second year students. 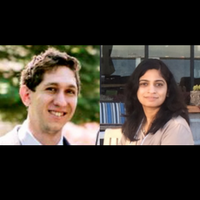 Mentorship is an important part of graduate school as it can foster students’ growth into successful computing professionals. 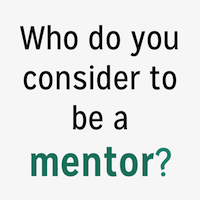 CERP’s Data Buddies survey for computing graduate students found that Ph.D. and Master’s level students consider different groups of individuals to be their mentors. While almost all computing graduate students have advisors, recent CERP data indicate many of those students do not have a mentor. Specifically, 17% of a sample of graduate students enrolled in computing programs (sample N = 2,617) indicated they did not “have a mentor with whom [they] have an ongoing relationship, and who provides [them] advice and assistance in advancing in [their] career.” The graphic above presents evidence toward a potential implication of not having a trusted mentor as a graduate student: relatively low self-efficacy. Self-efficacy refers to beliefs about one’s ability to plan for and execute steps necessary for future success. 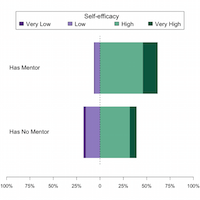 Indeed, the current analysis indicates students without a mentor report lower self-efficacy in their computing career track than students with a mentor, p ≤ .001.